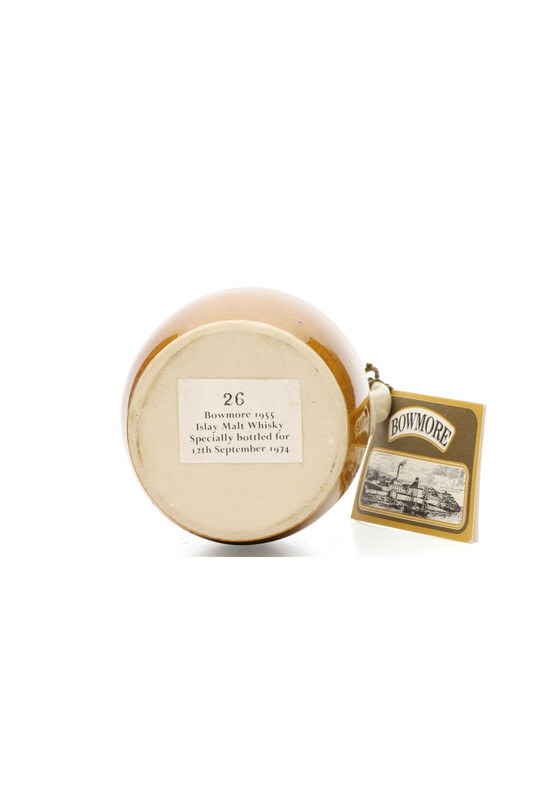 From the legendary Bowmore distillery of Islay a truly rare gem. 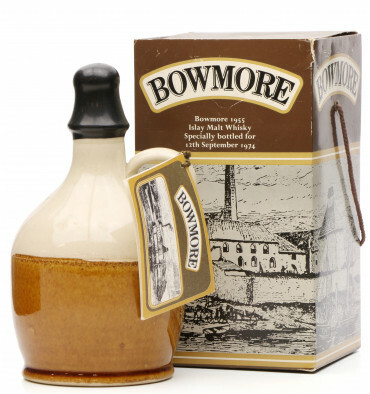 Specially bottled for the opening of the distillery's visitor centre on September 12th 1974. 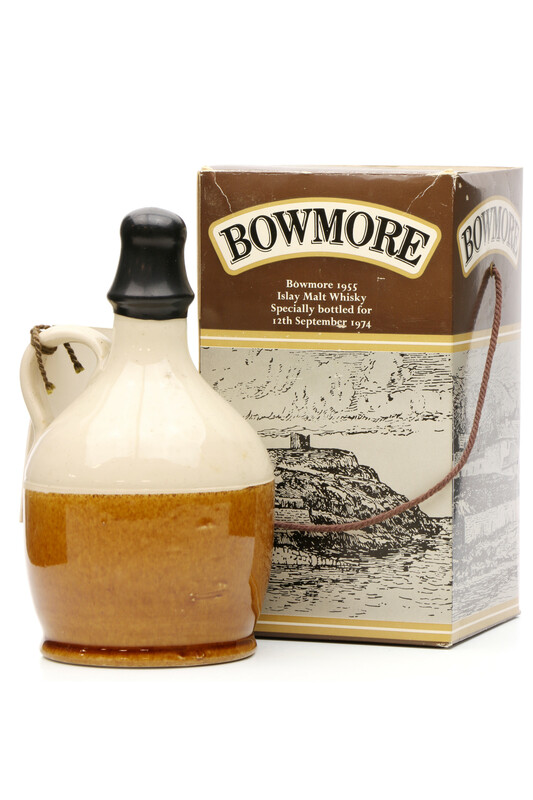 This vintage ceramic flagon was mainly handed out to staff to celebrate the opening, most of which decided to open but lucky for us we have here one of the few remaining unopened bottles. 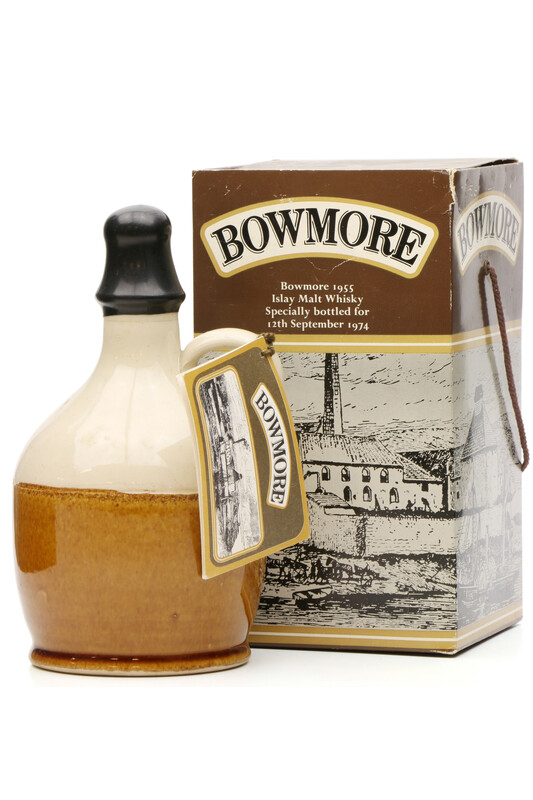 We are led to believe it is 37.5cl size flagon but no size is stated. 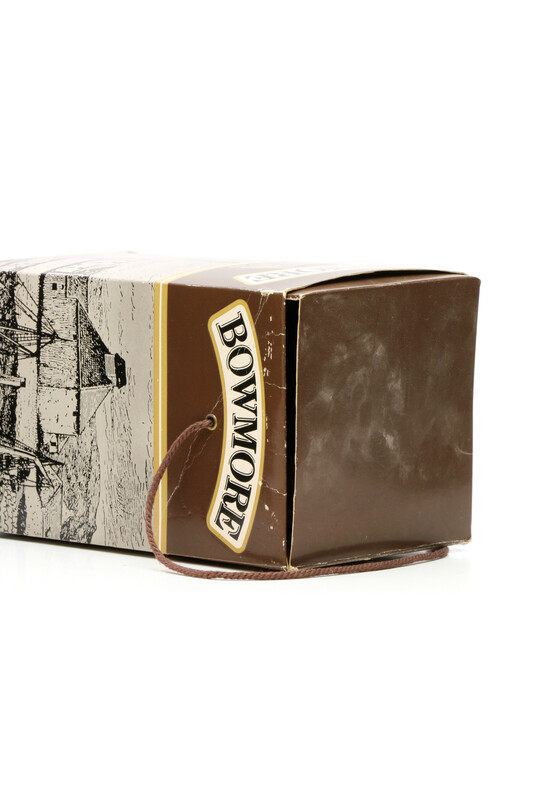 Please Note: Age related wear to box including minor creasing, small tears and minor marks.